Thermal imaging is an ingenious way to evaluate the conditions, below the surface of your home or building, in a non-invasive and non-destructive way and the benefits save you money and in some cases, further damage! An energy audit can show you exactly where the hot and cold air is entering and leaving the home, hence costing money. Leaks in pipes can be easily found, whether the pipes are in the walls, ceiling or floors. 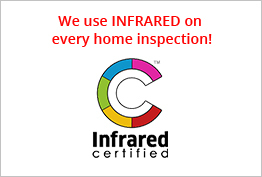 Insulation defects can be detected to allow for measures to be taken to prevent condensation and mold growth. Evaluating the roof system for possible water leakage is simple since water retains heat and can be detected at night when the rest of the roof has cooled down. Locate loose or corroded connections, overloaded circuits, failing breakers and fuses to prevent electrical problems. HVAC systems can be thoroughly evaluated for weakening motors, bearings, pumps, leaking or plugged drain lines and duct work. Thermal Imaging photography lets us deliver a more thorough and in-depth report so you can see what lies beneath the surface. 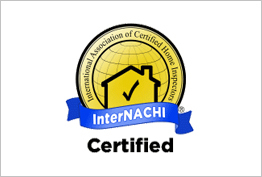 Let us reveal the true integrity of your home!